Situation: New Japanese Ramen joint has opened up at Westfield Pitt St Mall, stirring up the latest hype with fellow Instagrammers and Tweeters who are not shy of sharing all the mouthwatering images. How I respond to the situation: RUN TO WESTFIELD AFTER WORK TO GET INTO IPPUDO! 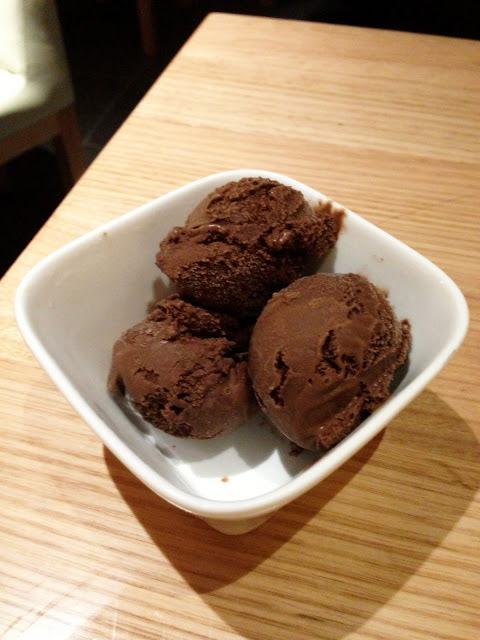 Yes I am a sucker for new restaurants, particularly Japanese, and I succomb to the power of marketing and social media. As I got to Level 5, I literally breathed a sigh of relief - there were no lines. YET. I was most impressed by the interiors of Ippudo as it was really contemporary and strong in architectural design elements. Whoever designed the lighting is also amazing! Once seated, a curved wooden ceiling stared back at me as I looked up. The decor was classic and modern yet also very bold - think blacks and reds clashing harmoniously against the wooden features. 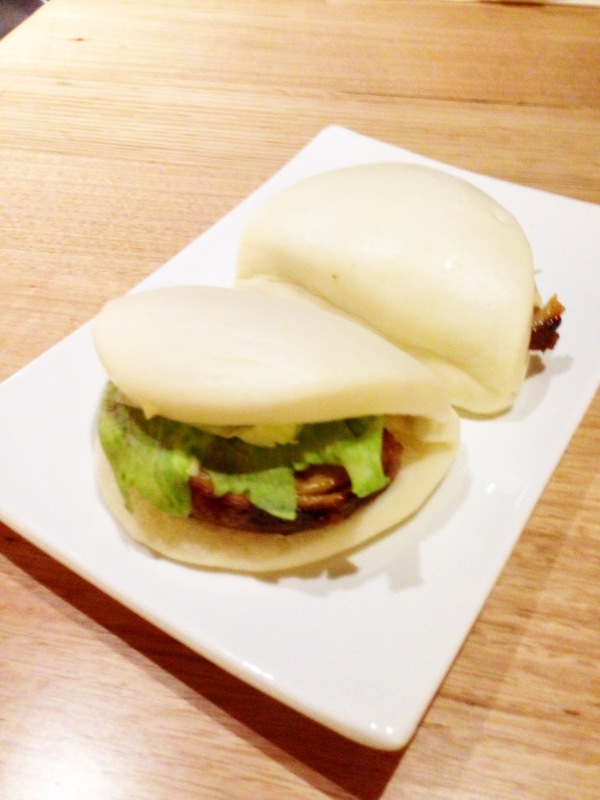 I have heard from many that the Ippudo Pork Bun ($4) is a successful play on the Momofuku version...however as I haven't been to Momofuku yet, couldn't really make a comparison. 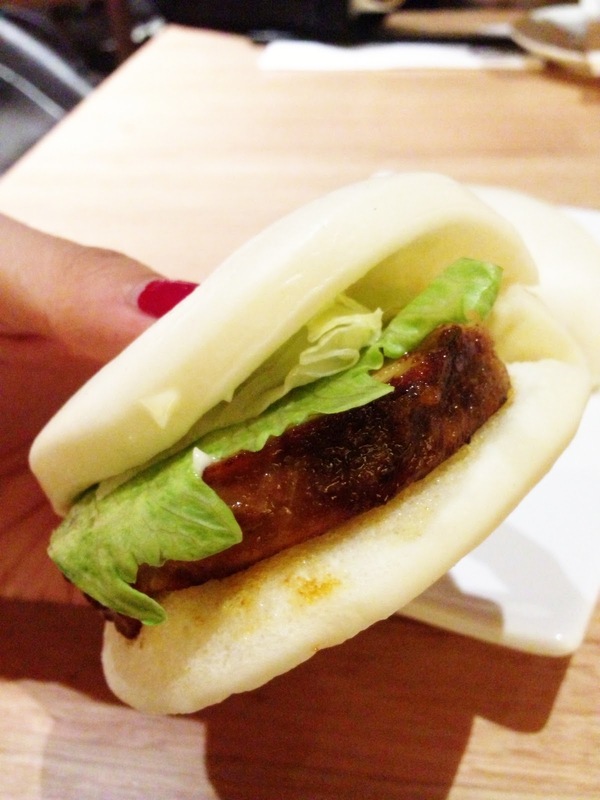 The Ippudo bun I can tell you though, is absolutely divine. The spicy Bakuretsu Tofu ($10) came in a sizzling hot stone pot and consisted of tofu, sliced ramen noodles and minced pork here and there - a bit of a Mapo-Tofu-like affair. 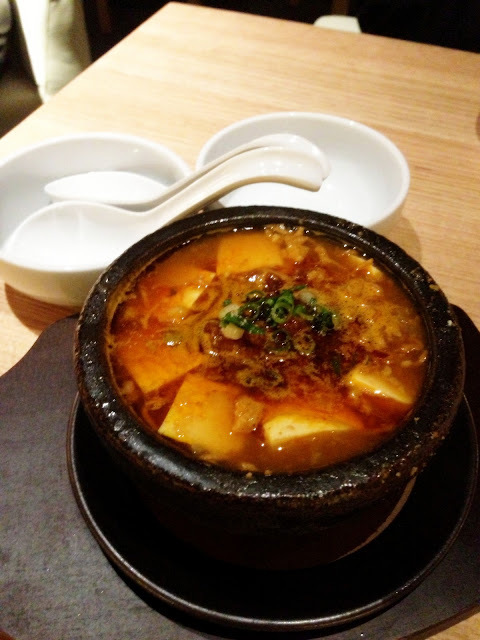 The soup is light in texture yet heavy in flavour with a slight chilli taste lingering after each spoonful. It's probably a bit too salty on its own - needs to go with rice or even rice cakes...that would be much better. The broth was really unique in its rich, creamy tonkotsu flavours and the pieces of chasu was simply amazing. Thick with a perfect trim of fat. I loved that the soup base wasn't too thick and that the flavours were really fragrant and tasty. However, I do prefer my ramen noodles to be a bit thicker. The Ippudo Gyozas ($6) were so adorable in its almost-bite-size form! Labeled as Hokata-style pan-fried dumplings, they had beautifully thin crispy bottoms encased with a soft meaty filling inside. 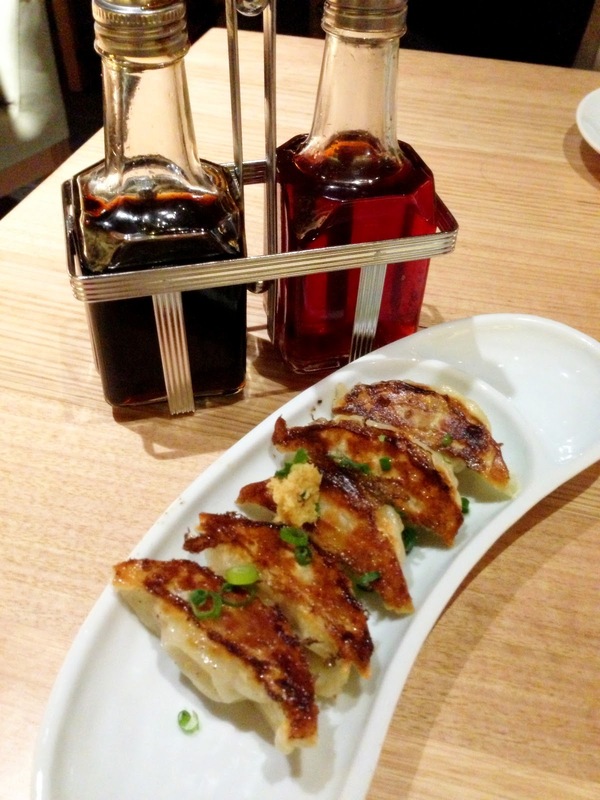 Loved that we were given both soy sauce and sesame oil to mix and dip - seasame oil makes all food so much more tasty! For dessert, I decided to experiment beyond my usual "Green Tea Ice Cream" order and chose the Lamington ($8) instead. Upon arrival, I took a mental note that this was probably one of the most unique desserts I've ever seen - as the label had suggested, it was indeed a Lamington with a Japanese twist! A square-shaped sponge coated with green tea icing, sprinkled with coconute flakes and topped with a dollop of red bean...interesting yes? As I gently broke into the lamington, I saw the amazing layers within and a cute red bean filling in the centre! 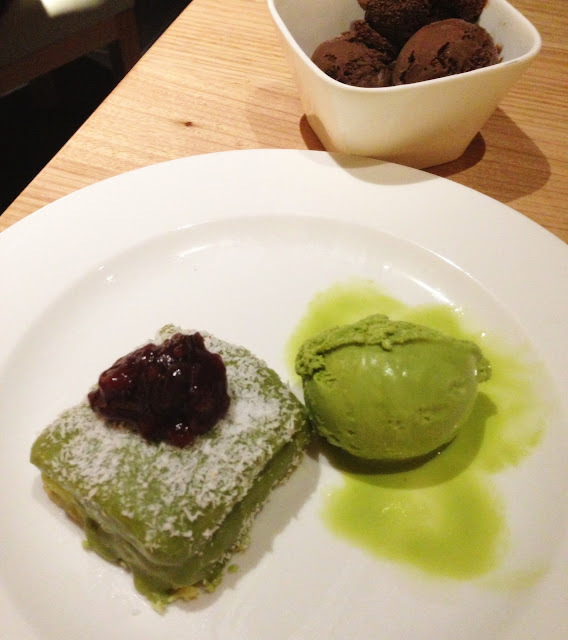 I ate each bite of cake with a bit of the green tea ice cream from the side and it was quite yummy! Definitely for green-tea lovers as the whole dessert was full of that flavour. However, towards the end, I started to feel like it was a bit of a sugar/green tea overload, so I highly recommend sharing this dessert as opposed to tackling it solo. We had arrived at 5:30pm and there were still quite a few seating availabilities inside but by the time we left at 6:30pm...the line was crazy! If you are keen to try this out, use my strategy and RUN here after work. Of course if you are far out of the CBD, all I can say is, GOOD LUCK!!! 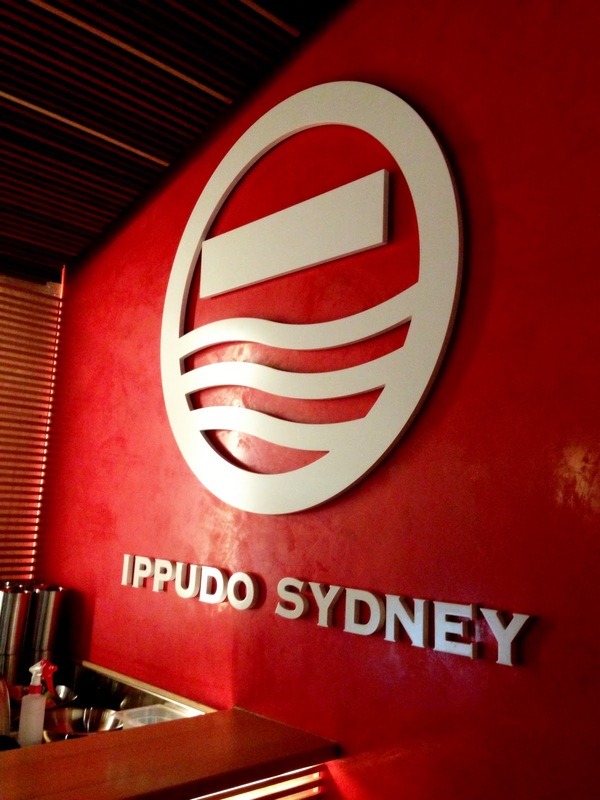 On the whole, I think Ippudo definitely offers a unique dining experience in the Sydney Ramen scene. The decor is stunning, the vibe and atmosphere is trendy and buzzing, plus the food is of quality standard and quite delicious. The service was also very attentive and friendly, with staff checking up on us every now and then to either clear the plates, refill our waters or ask how everything was. However, I must say that the one downside of Ippudo is that the ramen here is a little pricey, with one bowl ranging from $16-$21. It's definitely more of a premium setting and so I guess you have to pay extra for the exciting additions. 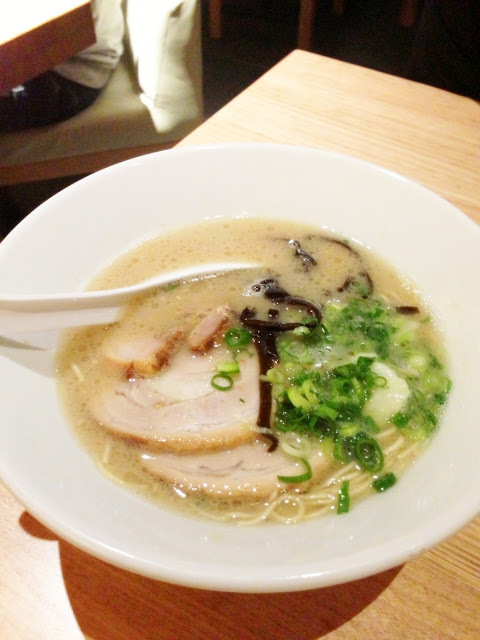 Seriously, even the bowls for the ramen looked fancy and incredibly swoon-worthy. Nevertheless, I know I will definitely retun for those pork buns and perhaps try some of the other ramens/choices on the menu?